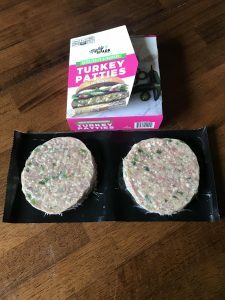 I talk a lot about convenience foods and while you may not think of meats that you still have to cook as a convenience food, when the meats are already packed full of flavor, they are just that! One of my favorite companies for this is Mighty Spark Food Co. 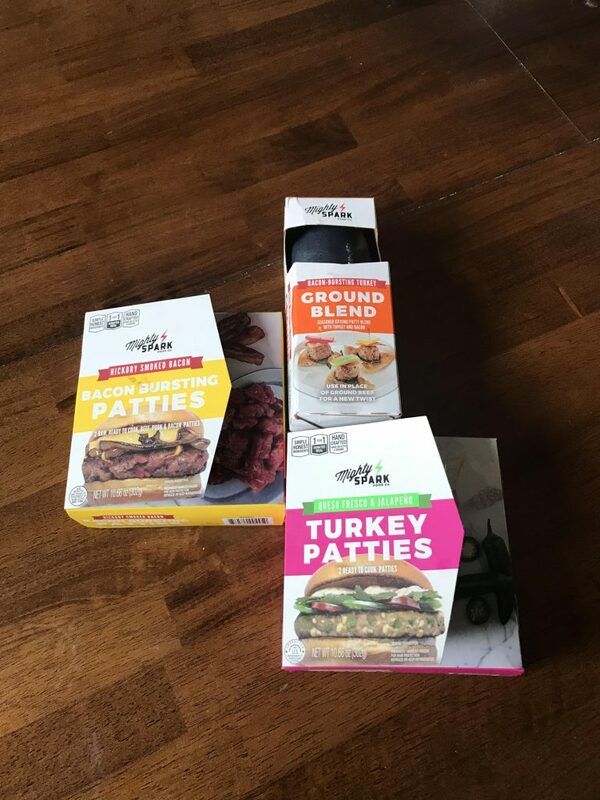 They carry several of my go-to faves all of which are delicious premium quality, keto friendly meats that already have all the flavors in them so I can just grab the meats and go. I’ve written about them before here and here so if you haven’t heard of them, definitely check out those posts as well! Burgers are one of my go-to meals so I’ll start there. They’re easy to make, quick, delicious, and a crowd pleaser! So when I find patties that already have different flavors in them, it means I can just cook it and enjoy! 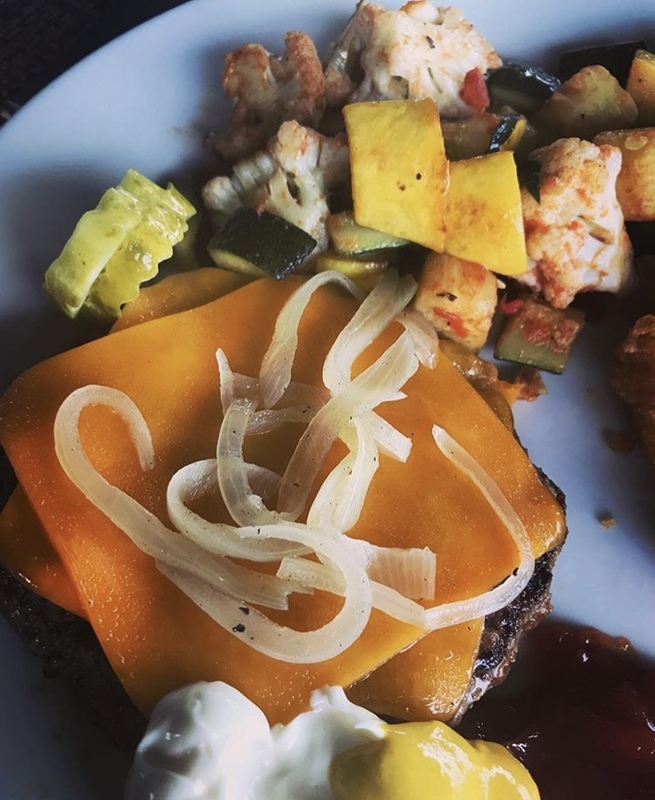 I LOVE Mexican food in pretty much any form and have made my own queso fresco burgers before (which I talked about the last time I posted about Mighty Spark here and recipe can be found here). But when I saw they had patties with the queso fresco and jalapeno already in them, I was ecstatic. Now I don’t have to dirty another pan and go through more work to get a burger full of flavor! They are so good! Just LOOK at all that queso fresco and jalapeno!! I added some more cheese, because you can never have too much cheese (lol) and some onion for the most amazing dinner! 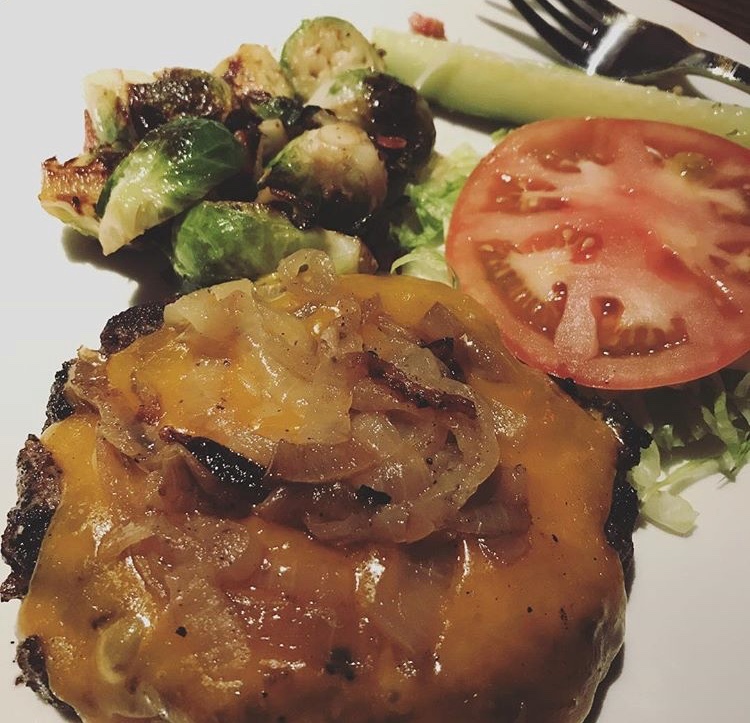 And being a turkey burger means they’re a little leaner than beef which is nice for those nights when I’m wanting something a little less heavy. 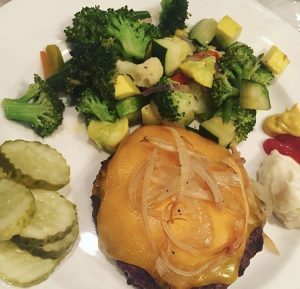 At 1g net carb per patty, its a huge keto win for me! I think it’s safe to say there’s not a much better combination than beef and bacon. If you’re a fan of that, then these Hickory Smoked Bacon Bursting Patties are for you! 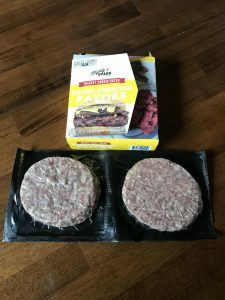 These patties are made with beef, pork, AND bacon so to say they’re bursting with flavor is a bit of an understatement! I grilled them up, added some cheese and a little grilled onion on top, and had the most delicious bacon cheeseburger with a little bacon in every bite! The hickory smoked flavor allowed me to have a burger that tasted like it was cooked on the grill even though its too cold for grilling where I live this time of year. That was an added bonus that I am excited to use year round! 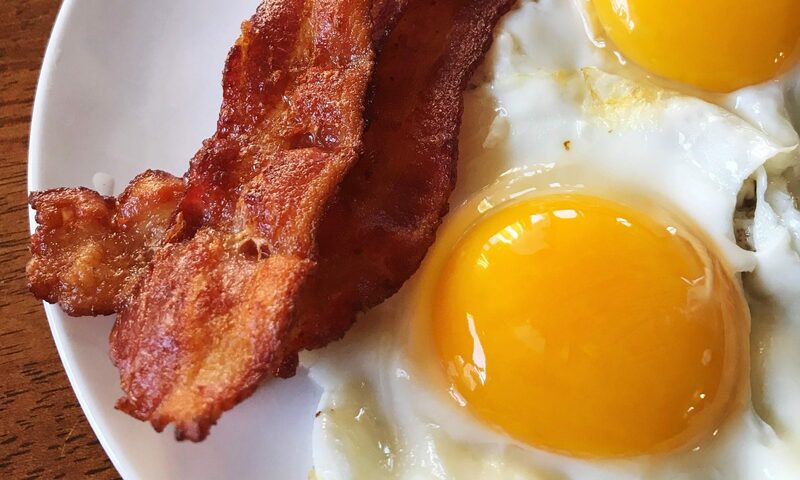 The ground bacon is cured with sugar but at only 1g carb per patty, it’s minimal enough for me to eat on a regular basis. A lot of times when I think of ground meat, I tend to draw a blank at how to use it aside from ground beef in tacos, meatloaf, or spaghetti sauce. But, this ground turkey has inspired me and I used it in 3 different recipes all in the same week! The first was for breakfast. Breakfast probably wasn’t the first thing you thought of when you heard ground turkey, but this was amazing! I added it to my scrambled eggs, cheese, and a little more bacon (because why not?!) 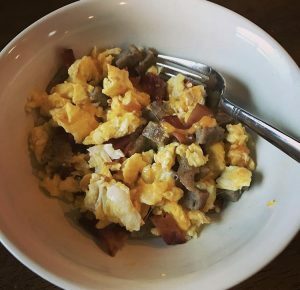 to make a scramble bowl that was so filling and delicious, it was almost hard to believe! Next I used this to make bacon cheddar zucchini boats. 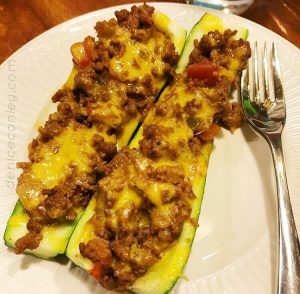 I’ve posted my recipe for zucchini boats before here but this time I mixed it up by making them taste like bacon cheeseburgers without having to cook bacon! Talk about convenient! And of course, they were DELISH! Lastly was Egg Roll in a Bowl. If you haven’t tried this before, it’s a keto must have! 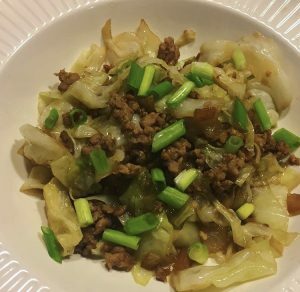 Think egg roll, but without the fried wrapper and carbs. YUM! And the bacon in the turkey added a whole new dimension to this dish! I’m not sure I’ll ever make it another way! This ground blend does have 2g carbs per 4 oz but that’s a minimal enough amount that I can definitely eat it as a regular staple in my daily diet and stay in ketosis. Just something to keep in mind though and keep track of when tracking your macros. These are just a few of the products Mighty Spark offers. All of these are now available at Target stores so if you are a loyal Target shopper like me, be sure to check for them! To see their entire line of products, check out the products section of their website by clicking here. I’m excited to continue trying their products and will be sure to post my thoughts as I do! Previous PostPrevious Grilling with Mighty Spark Food Co.